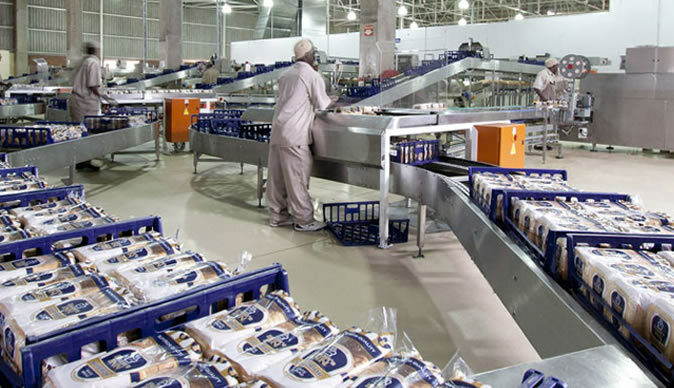 CONFECTIONERY giant, Baker's Inn, will invest over $20 million towards putting up additional plants at its Bulawayo and Harare factories next year as it seeks to further ramp up production to meet the high demand of bread on the market. Baker's Inn sales and marketing executive Mr Caleb Musonza said the company was looking forward to increasing its bread production capacity by 100 percent at its Belmont factory in Bulawayo. "We anticipate to invest at least $11 million as we are indeed adding an additional plant at our Bulawayo factory to at least double our production capacity to 400 000 loaves per day and we anticipate to have this project to be fully implemented in the next 18 months. This (plant) will be significantly more technologically advanced than the current machines," said Mr Musonza. Last year, the bread manufacturer installed an additional $5 million plant, which saw its production rising by about 85 percent. The company would also invest towards increasing its fleet of vehicles through purchasing more distribution trucks. "Linked to the increase in the production capacities, will be investments in other areas like additional skills, distribution trucks, customer programmes among other programmes. "Hence as we expand the factory and operations in Bulawayo, we are also going to buy more distribution trucks as well. We take pride in creating numerous direct and indirect employment opportunities for the Bulawayo community," said Mr Musonza. Prior to the installation of the third plant last year in August, the bakery was forced to complement the demand of its bread in the southern region through supplies from its Harare factory. Baker's Inn has six depots in the southern region namely Chiredzi, Masvingo, Zvishavane, Hwange, Gokwe and Gweru, which receive deliveries from the Bulawayo factory. The Bulawayo market is split into three areas - the Central Business District covering the eastern suburbs and the Inyathi area, Area 1, which covers Tsholotsho going to Lupane while Area II covers the western areas of the city, Gwanda and Plumtree. Mr Musonza also noted that the company was going to put up another additional plant at its Harare factory. "We are also significantly increasing our production capacity at the Harare plant in tandem with the demand of our bread, which currently accounts for 50 percent share of the market. "We intend to invest more or less the same amount as that of our investment in Bulawayo. We are very positive about the future of the bread market in the country, hence our investing," said Mr Musonza.